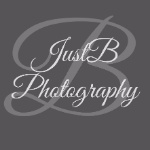 JustB Newborn Lifestyle sessions are some of our favorite sessions! From In-Hospital Newborn to In-Home Newborn Lifestyle sessions, we absolutely love getting to capture the first days of you with your new love! Getting to be a part of your family growing and falling in love is such a special blessing for us, and we truly enjoy getting to capture it! Tiny baby details, parent awe, sibling love...these are just a few things that make these sessions so special and portraits so priceless! Newborn Lifestyle sessions are held within the first 14 days of life at the client’s home using natural light. This session captures the family and new baby simply being together in their home: Mom rocking baby, Dad changing baby, baby laying in crib, new big siblings, etc. This session allows the comfort of your home and captures truly beautiful moments that are natural (rather than only posed) that you will be able to cherish forever. This session can take up to 3 hours depending on the baby’s sleeping/eating needs. We offer a range of Mom-2-B packages! Let us know if you would like to hear more!! For pricing or to schedule a session, contact us here.